The process will see a ‘six-month period of intensive monitoring and engagement’, followed by another three-month period for the EU to produce a report based on its findings. A final decision on whether Cambodian exporters will lose access to the EBA preferences will be handed down 12 months from the commencement date, with the decision coming into effect six months after that. Today’s decision will be published in the EU Official Journal on February 12, with the 18-month countdown to zero tariffs on Cambodia exports to the EU on August 13, 2020 officially starting. 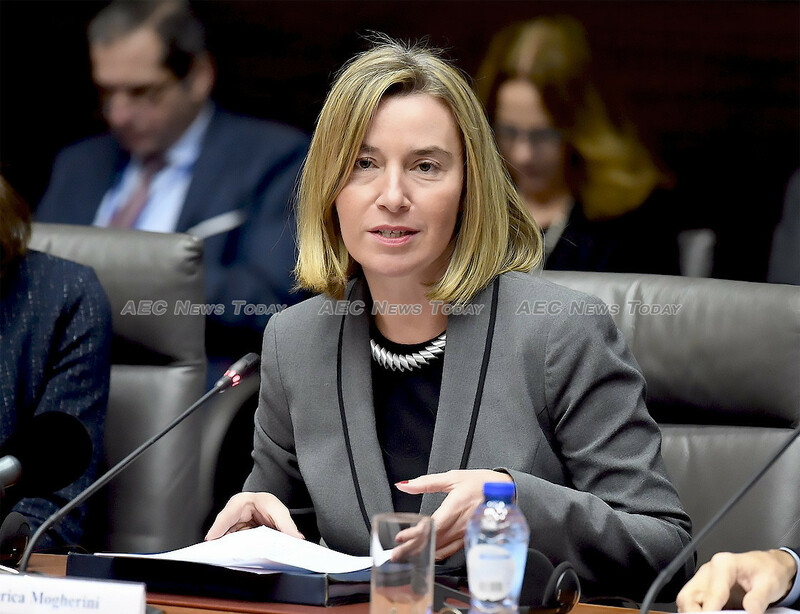 Emphasising that the removal of Cambodia’s EBA preferences would be the option of last resort, EU High Representative for Foreign Affairs and vice president of the European Commission (EC), Federica Mogherini said: “Over the last 18 months, we have seen the deterioration of democracy, respect for human rights and the rule of law in Cambodia. “As the European Union, we are committed to a partnership with Cambodia that delivers for the Cambodian people. Our support for democracy and human rights in the country is at the heart of this partnership”, she said. Noting that in recent months “Cambodian authorities have taken a number of positive steps, including the release of political figures, civil society activists and journalists”, Ms Mogherini said “without more conclusive action from the government, the situation on the ground calls Cambodia’s participation in the EBA scheme into question”. EU Commissioner for Trade, Cecilia Malmström said, “the clock is now officially ticking”, adding “we need to see real action soon”. In 2018 some $5.43 billion (€4.8 billion) worth of textiles, footwear and agricultural products, and bicycles exported by Cambodia to the EU were eligible for EBA concessions. The footwear and garment industries are Cambodia’s largest, employing some 800,000 people and account for about 70 per cent of total exports. Cambodia Prime Mister Hun Sen has threatened to retaliate against the opposition if the EU went ahead with its plans to withdraw the trade benefits and last month accused it of holding the country “hostage“. Will The SDIP Enable Cambodia to Wean Itself From China?